Selamat Balik! We return with uplifting news! Progress continues. The dark cabal has reached the point where its only option is to surrender. Every strategy to disrupt the Light has utterly failed. We are approaching the very brink of events that are to be the true prelude to your freedom and the rise of new governance. Along with our Earth allies, we are in the middle of executing a well-thought-out plan that is dismantling the existing power structure. A sweeping series of untested strategies is being successfully implemented that continues to perplex the dark cabal. Our sacred coalition, which is working smoothly together, is busy setting the stage for our eventual triumph. It is sheer joy to watch so many dynamic, strategic elements come together, like silken threads, to enmesh the conceited cabal in the web of its own corrupt legal system. Elements are already in play that have legally forced the dark to relinquish much of its power and prevented large-scale international wars from breaking out. The next steps are to end the power of fiat money and jolt the bankers from their lairs. These actions in turn are to set the stage for permanent prosperity that transforms global poverty and homelessness. It is to replace these brutal earthbound tragedies with a jubilee that frees all humanity. It will take you far beyond current survival modes and you will come together at last to creatively solve the pollution and gross depravity that threatened to send you into nothingness. We now are to interact with a people ready to accept its inherent spirituality and inner yearning to save and protect Gaia. They are to serve you well as you prepare to reunite with your Inner Earth cousins. A revised schedule is being drawn up for distribution of the RV funds that will equip you for your prosperity monies. It will also deliver a new banking system, based upon reporting guidelines agreed to some years ago. These rules will restructure bank operations and severely restrict any kind of bank fraud. Once all of this is achieved, new governance can freely and legally manifest. It will abolish personal taxation and allow the rise of an entirely new business environment. Under these fairer conditions, currently-suppressed inventions will emerge. These devices will clean your air, water and sky and make possible a formal disclosure of our sacred mission. With first contact, we will be permitted to travel to your shores and begin a mentoring program that is to lead you to full consciousness. At that time, you are to be reintroduced to the Agarthans. These events make our contact with you vitally important. As you begin to reach out to reclaim your spiritual essence, you are also to reconnect with who you truly are. Your original Lemurian society, built on a model that you carried from the stars, is still in practice in Agartha. 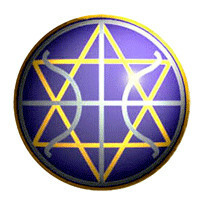 Together, you are intended to fashion a new galactic prototype, embodying all of the countless forms of galactic society that exist throughout the Galactic Federation. Your new star nation is destined to create a natural energy that ultimately is to unite this galaxy. Immersed in this awe-inspiring Light, we are to do a great deal to unfold the Creator's divine plan. Hail to the Light! Onward to a New World and to this upsurging Age of the Light! Namaste! We are your Ascended Masters! We arrive on this day, bringing a message filled with Love and Light. In our hearts, we see the way Heaven is orchestrating the demise of the dark's control over your beloved planet, Gaia. The ancient families, who long have been in charge of a vast secret depository of gold, silver and precious gems, are working to bring your prosperity to the next level. They have agreed to bring your abundance to the delivery stage. In accordance with their wishes, we are making much-needed arrangements that can securely transfer this prosperity to you, the peoples of the world. We laud those in a number of governments who are assisting us with the new mandates necessary to help you receive your blessings. Likewise, the Agarthans, our Inner Earth companions, are preparing a process that is to allow this monumental shift to come about as effortlessly as possible. It is our honor to bring these events to fruition, as they are in accordance with Heaven's divine plan to return you to full consciousness. This new world is to inaugurate a process to return humanity to Heaven, and to the stars. The most sublime joy comes from helping one another in Love, and revealing to all the marvels of mercy. This is joy that each one of you needs to experience. We Masters most delight when even those who dislike each other learn how much better it is to Love and forgive. A great many of you are awakening for the first time, some even for the second time, and seriously observing what is really going on around you. Happily, new consciousness grids set up by the crystal children support this purposeful quest. Their arrival on your world has given us a surfeit of new allies. Your world is converging into the greater community of Love, Light and mutual caring. In the process, you continue to grow in both consciousness and grace. Many layers of your future "merkabah," or Light body, are being activated at this time. As you begin to integrate these significant changes, you may experience a feeling of not "being" in this world; or sense a connection to another, different reality that pops quickly, just for an instant, into your head. These virtual mirages are glimpses of a world of which you are not yet consciously aware. These major transformations are a result of the plethora of physical and mental changes you are undergoing. Old ways are dying and new ones are being born: it is important for this reason to remain flexible while the "flow" of your ever-shifting world unfolds. Take this time, dear Ones, to grow now and bask in this new galactic Light hereafter!